In this important book, journalist Sue Leonard has spoken to fourteen Irish people, of all ages, who live with depression, anxiety and related illnesses. Here they tell their sometimes heart-rending but hopeful stories concentrating on the tools they use to help them cope on a day-to-day basis. 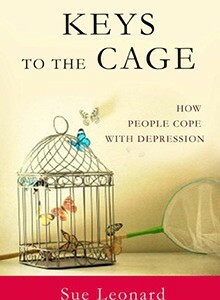 Keys to the Cage will go some way to breaking the silence and stigma surrounding the issues of mental health. The book also includes a list of all the therapies, support groups and books mentioned.